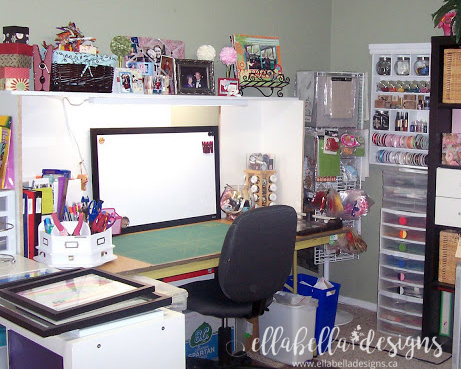 I thought it was about time that I let you have a peek at my "new" scrap space and see how I have organized my scrapbooking space and supplies! I say "new" even though it's been almost one year since I moved my scrapbook space into the back of the kids' playroom! It has taken me a long time to figure out how I'd like to store my supplies, though I seem to be constantly changing and rearranging things!! So this is how it looks as of today! 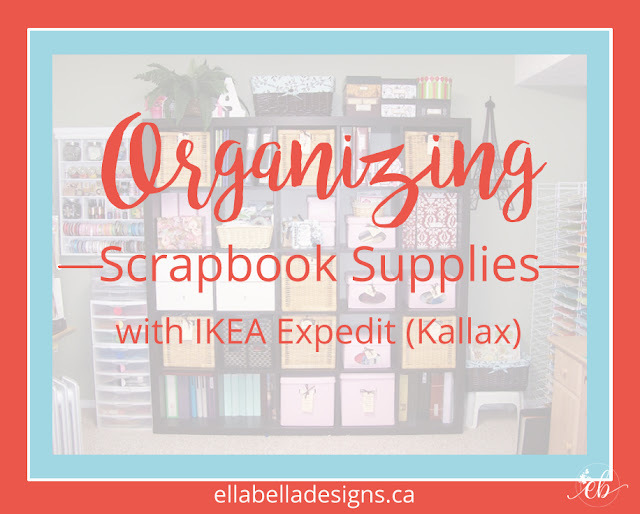 My absolute favorite piece of furniture to organize my scrapbook supplies is the IKEA Expedit (now Kallax) unit; it holds a ton of my scrapbooking supplies! 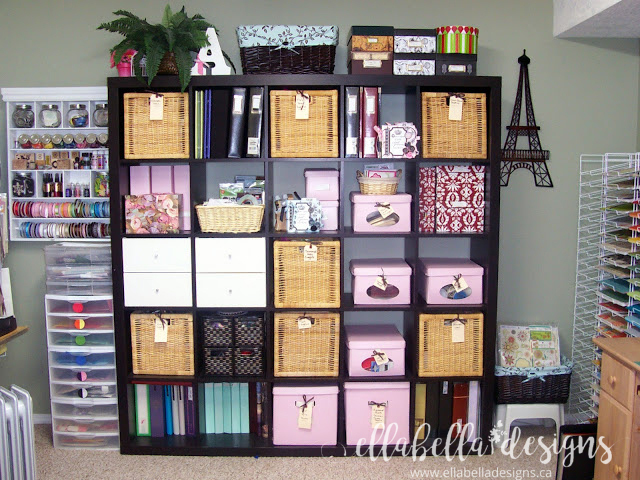 I just love these storage units, and we actually have multiple units throughout the house! This is the feature wall where I have the majority of my scrapbooking supplies stored in the Expedit unit from Ikea. I just love the Eiffel Tower metal art piece I purchased at Winners, one of my favorite stores!! 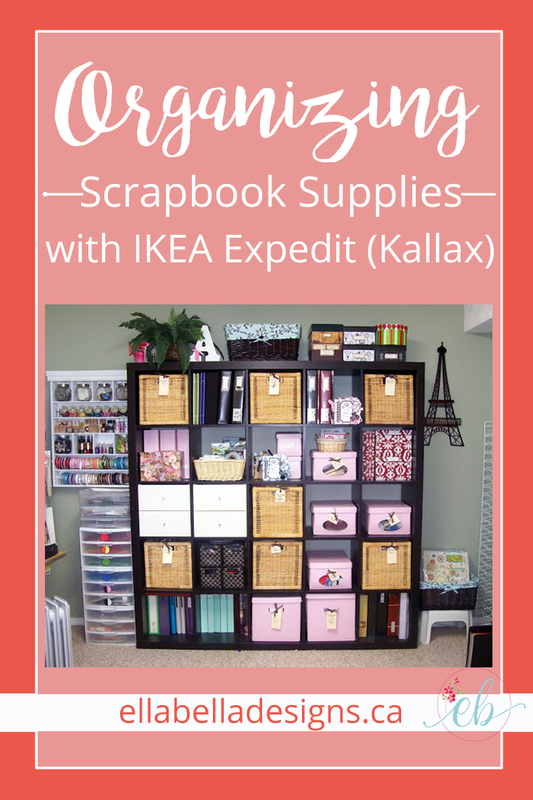 This large Expedit unit is used to store most of my scrapbooking supplies. 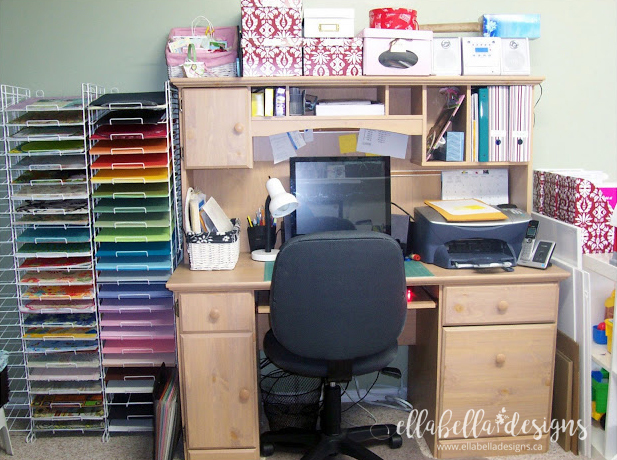 I also store some office supplies here as well as some of the kids craft supplies that I want to keep out of reach! 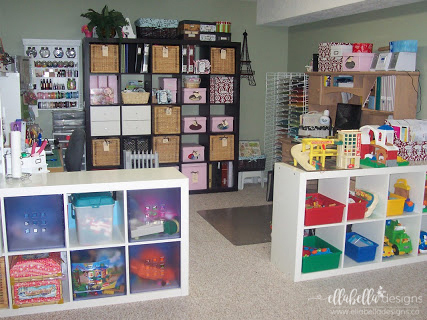 I love the baskets and boxes that fit right into the cubby holes; we also purchased some drawer inserts. The top of the unit houses photo boxes full of photos, negatives, and collections from various vacations. The large basket (from Michael's, another of my fav stores!) 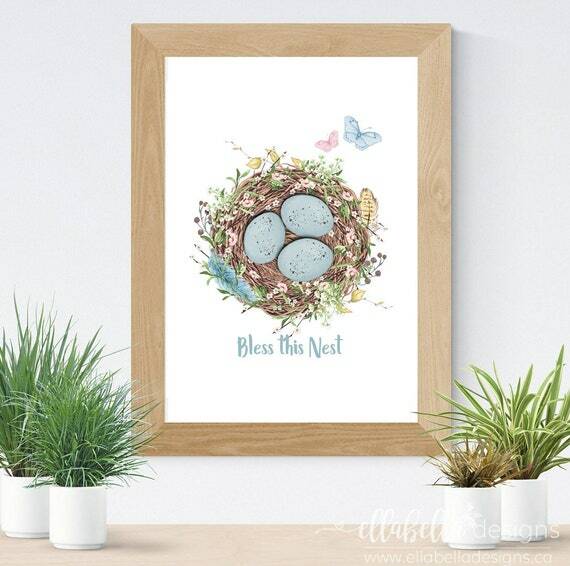 is my secret basket which houses gift items that need to stay hidden away! 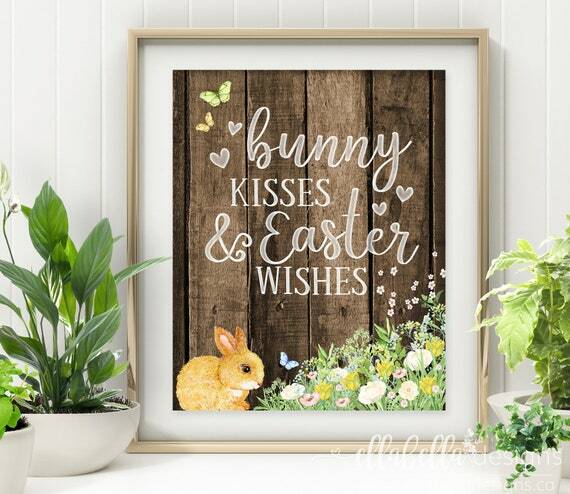 I also have some decorative pieces up there such as a small bird cage, potted silk gerberas, and a large letter A monogram. Two smaller IKEA Expedit units separate the playroom from my scrapbook space and they hold the kid's toys. I have boxes from Ikea on top of the desk storing things like photos, negatives, computer CD's & pre-made gifts. I also have a basket displaying some of my mini scrapbook albums! There is also a little stereo/CD player up there. This desk is also where I store my address and post supplies, computer paper, and financial info such as banking records, cheque books, etc. To the left of my desk is where I keep my cardstock and patterned papers. 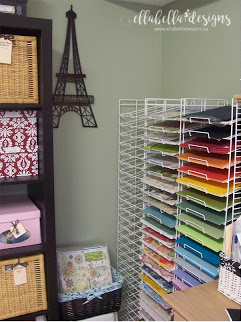 I love these scrapbook paper wire racks, so easy to get to my papers and see what color cardstock I am getting low on. I find I need to keep my supplies out in the open otherwise I will forget I have them! 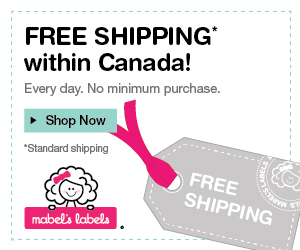 Some of the patterned papers are sorted by manufacturer and some are sorted in themes such as school, summer, Christmas, etc. This wall mount embellishment unit is perfect to store various small and frequently used items. First row: The contents of the glass jars (love these!) on the top row include metal bits and pieces (binder clips, bottle caps, hinges, etc. ); small opened packages of bling & pearls; mini ribbon spools; mini brads (each color is stored in a mini zip bag). Second row: Mini glass jars full of buttons organized by color; as well as shot glasses storing decor pins. Third row: My most used rubber stamps & favorite paint colors. 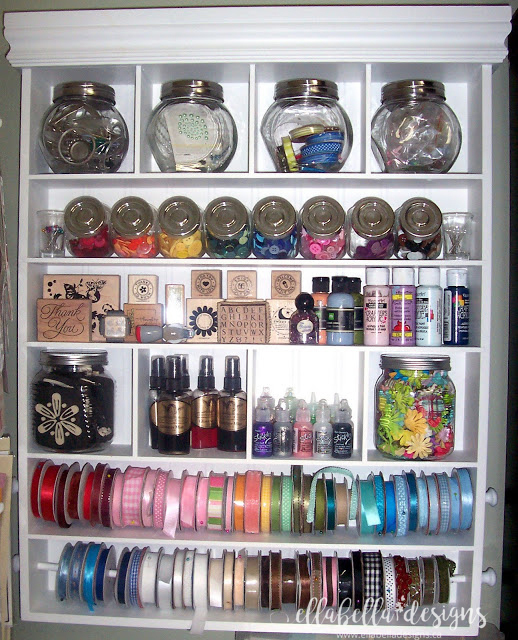 Then I have my most favorite ribbons which are on a spool organized by color. Directly under the unit is my plastic drawers & containers. The first three containers are my patterned paper scraps, which I mostly organize by manufacturer or theme as well as any coordinating sticker sheet scraps, which are then stored in XL zip bags. Christmas gets its own bin, as I have a lot of Christmas-themed products and like to keep them all in one place. The first six drawers are dedicated for cardstock scraps, which I have most of them packed full! (Though I am getting good about not keeping the tiny bits anymore!) They are organized by color: Red, orange/yellow, green, blue, purple/pink & black/white (which includes browns and creams, too). The last three drawers are where I keep some of my alphas; journalling cards & tags; and specialty paper such as mulberry paper & vellum. This is where it all happens!! My husband made the "hutch" including under the shelf lighting. It feels a little boxy for me, but it works for now. And I'm not sure I like the white board there anymore, my goal is to make a huge quilted memo ribbon board along the back. 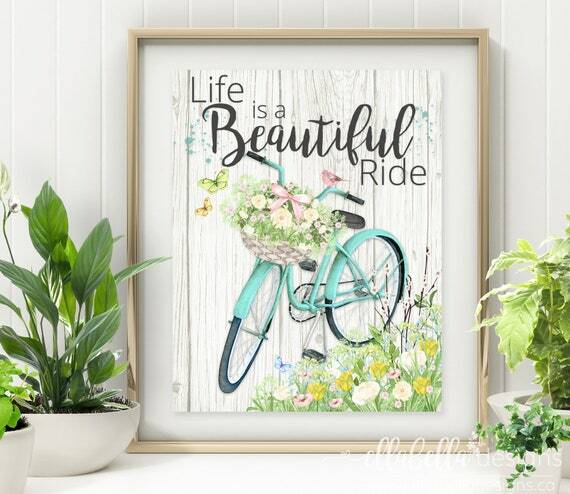 I love my Making Memories desktop carousel organizer as well as my "spice rack" spinner where I hold all of my bits and pieces including metal charms, brads, etc! The basket on the top shelf holds some of my many mini albums and on the other end I have a magazine stand which holds my most recent scrapbook pages. 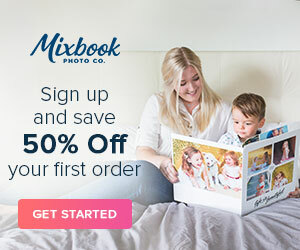 I really hope you have enjoyed taking a peek into my scrapbook room and hope you gleam some inspiration! 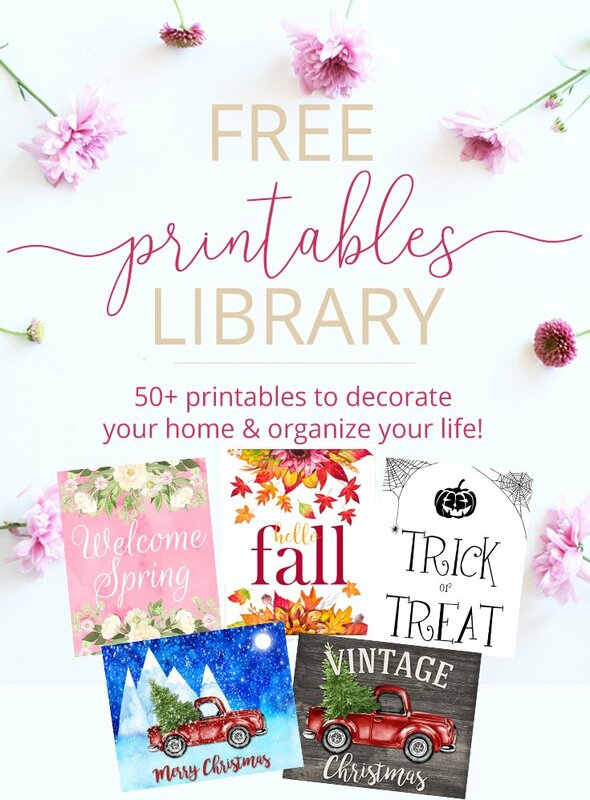 I would love it if you commented below or even shared your scrapbook room with me!! 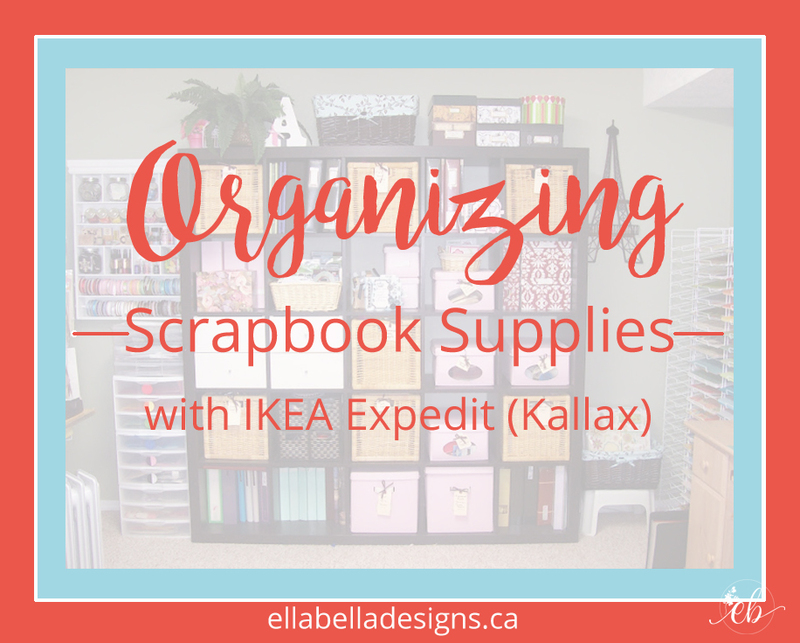 I love to see how other people organize their scrapbooking supplies! 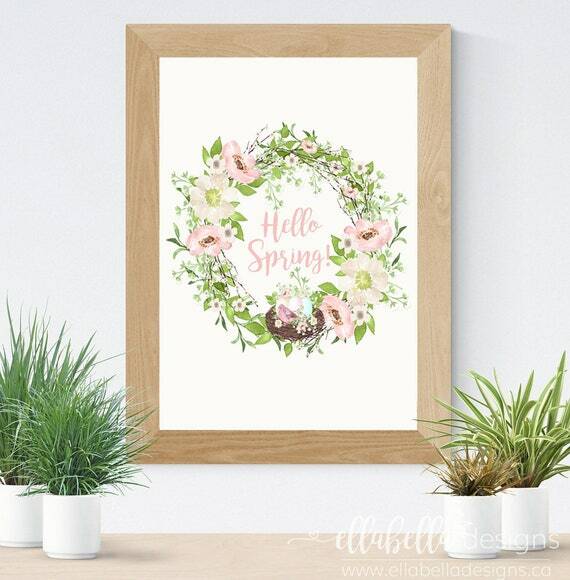 Follow Ellabella Designs on Facebook, Instagram, and Pinterest! 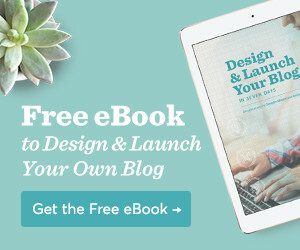 Please share this post on Pinterest!